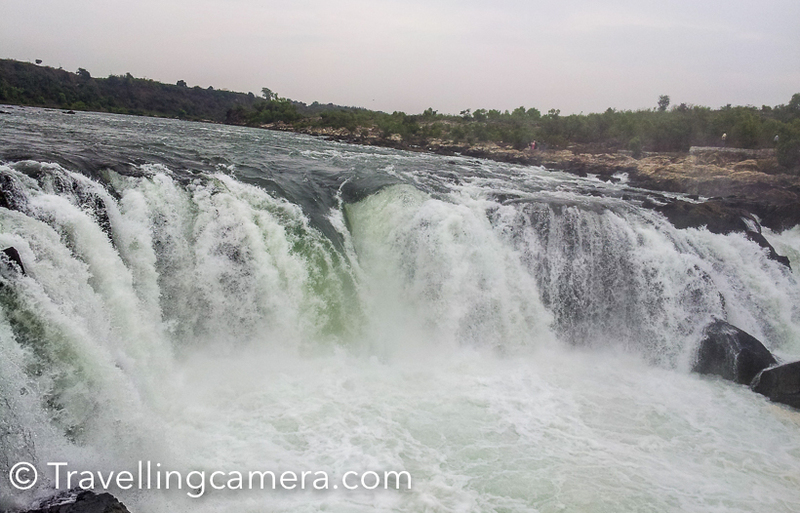 Jabalpur is a well connected town in Madhya Pradesh state of India and there are some beautiful places to explore. 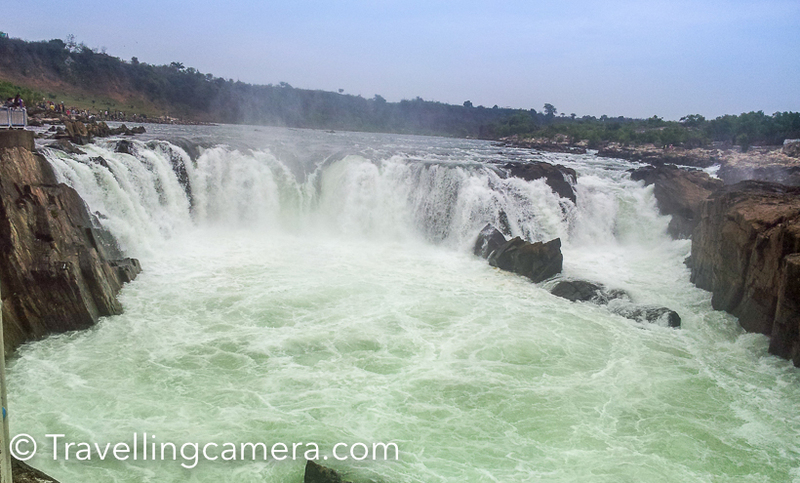 I visited Jabalpur in 2010 and had posted few posts on the places I visited. Recently one of the blog follower wanted to know more about Jabalapur, places to explore and what's a good way to explore these places. 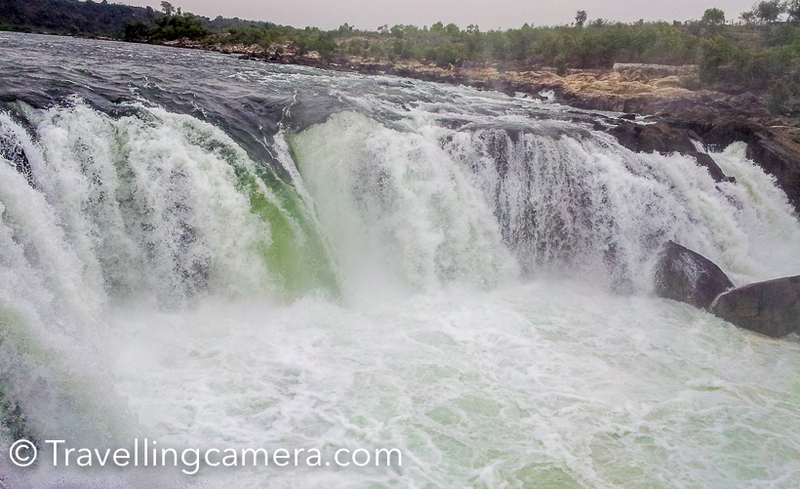 In this post I have shared photographs from my favorite place around Jabalpur - Dhuandhar Waterfalls. Photographs of other mentioned places in this post can be seen by clicking on respective names. Dhuandhar is a huge waterfall outside the town, but reachable through auto/taxi. To explore these places around Jabalpur, we had hired a auto-rickshaw. In 2010, it costed us 400 Rs for almost whole day. Do click on the link to know more about Dhuandhar and what other things can be done around these waterfalls. During Jabalpur visit, we also went to Madan Mahal and balancing rock on it's way. We had a bad experience there, so don't miss to read the linked post. It's important to take precautions while travelling, especially when you know that it can happen in isolated places like Madan Mahal. 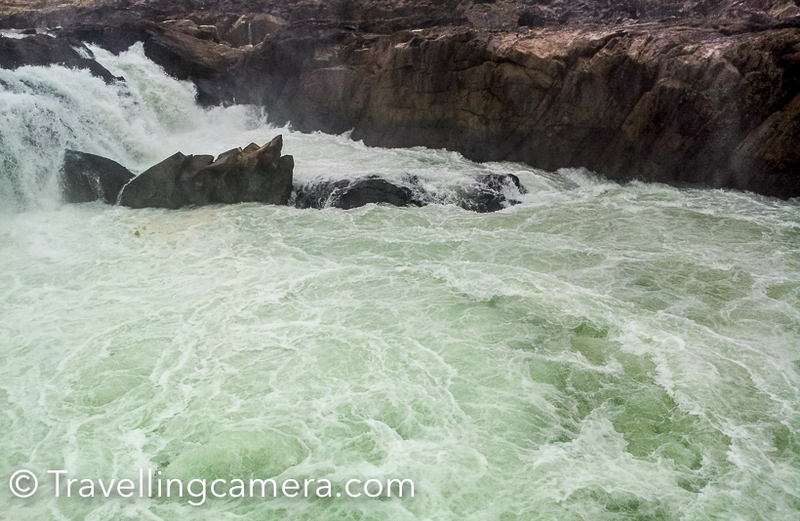 Bhedaghat is another beautiful place around Jabalpur, where you can see beautiful marble rocks. These are soft rocks and there are lot of artists who create beautiful creations out of it. There is a river which crosses through these rocks and one can have a boat ride around these. Auto-rickshaw goes till the river bank, so it's accessible to anyone. Another interesting place is ChausathYamini Temple. A unique temple with wonderful architecture and carvings. One has to climb a bit to reach the temple but it's worth. Great pics! Have heard boating on a full moon night at Bhedaghat is absolutely mesmerising! Divsi - I can imagine boating in full moon when all the marble rocks would shine and reflect in the river water. A painter can very well depict the view.